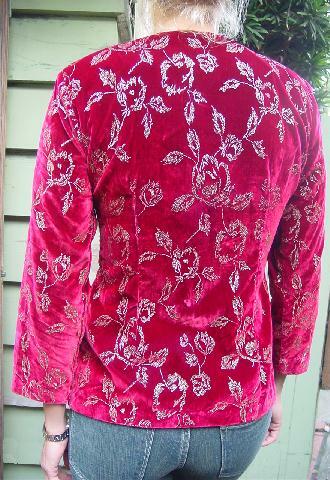 This dark red velvet evening jacket has shoulder pads, long sleeves, and is 65% acetate and 35% nylon. 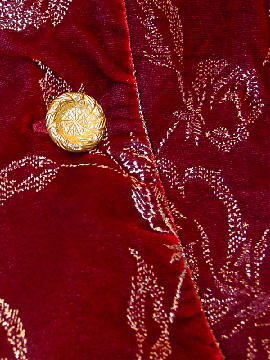 The modified jewel neckline and both front sides are edged in a gold metallic cording. It has a flower and leaf design in a gold metallic paint. 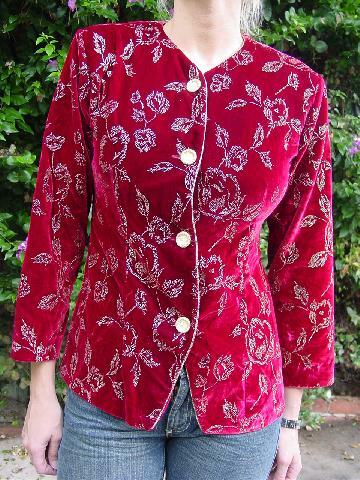 There are four textured gold-tone buttons down the front. It looks better in person than it photographs. The tag says size 4, but it fits more like a 4 Petite. side to side bottom hem 19"